Vegan Mushroom Orzo Salad with enoki, fresh basil and drizzled in black truffle oil. Served warm or cold this vegan pasta salad is comfort food at its best! I love a good pasta salad (example A), but I haven’t always felt this way. Growing up I turned up my nose at the typical pasta salads served in in the Midwest because they were tossed in mayonnaise. Not surprisingly cold pasta with sticky mayo was not a favorite (no offense to mayo-based pasta salad aficionados) so I avoided pasta salads altogether. Until I realized how delicious cold pasta can be with the right combination of oil, lemon and herbs. Then there was no turning back. 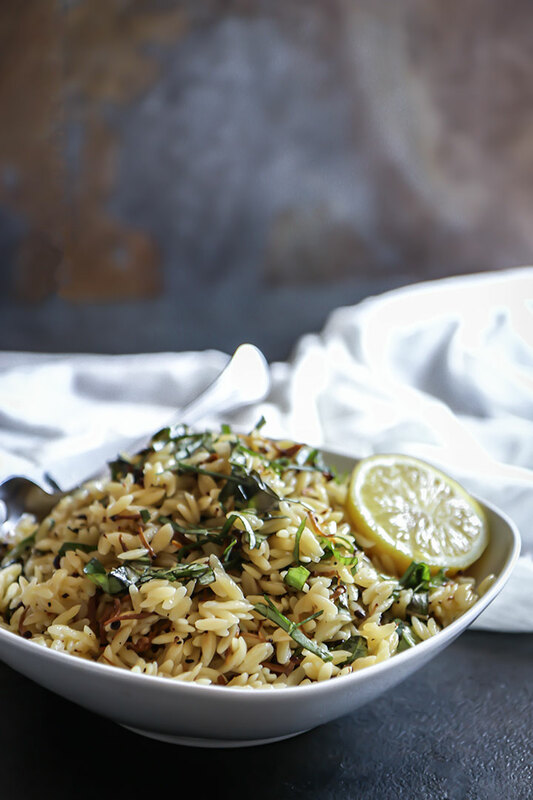 I’ve mentioned before my tendency to go through favorite pasta phases, and while I’m currently in an “all things bucatini” phase, I have a special place in my heart for orzo. 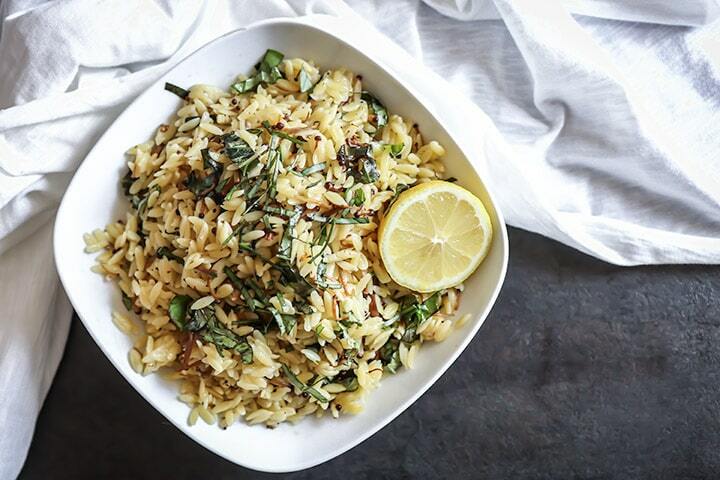 Before marrying Francesco (or the “Italian Husband”) I had never tried the small, rice-like pasta and it was on our first trip to Italy together to meet his family that I had the pleasure of enjoying a cold orzo pasta salad. 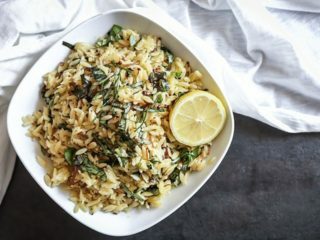 This Vegan Mushroom Orzo Salad is plant-based comfort food at its finest. 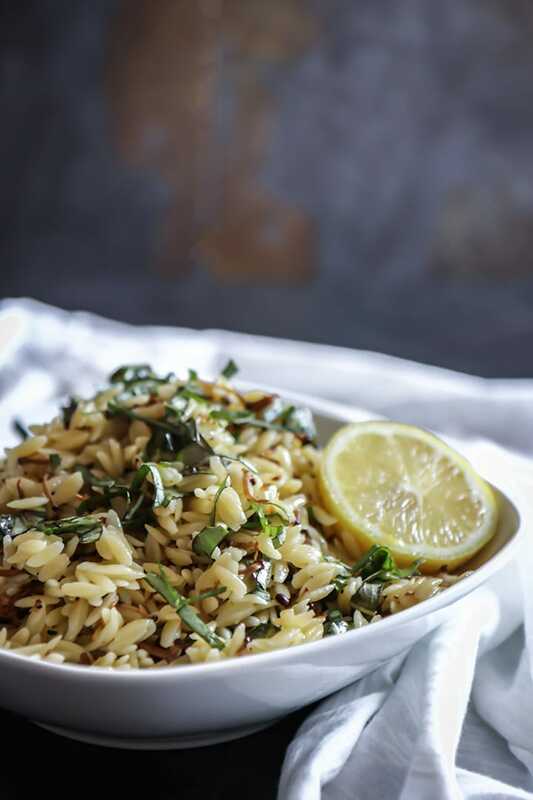 Combining the slightly chewy and filling goodness of orzo pasta, the nutrient-rich earthy taste of enoki mushrooms and black truffle oil, and the tangy of fresh lemon and basil it is delicious served both warm or cold. Versatile enough for summer days or chilly fall nights, and flavorful enough that you don’t miss the cheese or mayonnaise usually found in traditional pasta salads. I love the challenge of cooking plant-based meals. 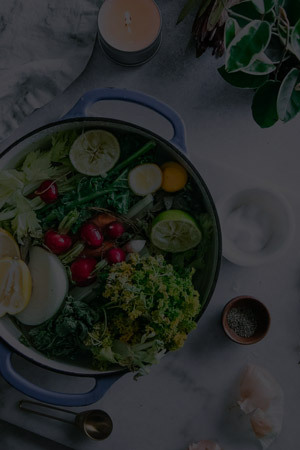 I’m drawn to bold and deep flavors, so it’s always fun to experiment with combining vegetables to be as rich and indulgent as their dairy-containing counterparts. The key is to use flavor rich foods like mushrooms and black truffles to give a dish depth while keeping it vegan. One of my favorite tricks right now is truffle oil, which adds a deep flavor to pasta, pizzas and even salads. Bring 6 cups water with a pinch of salt to a boil. Add orzo and reduce to a low boil, cooking for about 7-9 minutes or until pasta is soft but with a slight firmness. In the meantime, in a large pan heat olive and truffle oil over low-medium heat. Add enoki mushrooms and salt and pepper. Cook until mushrooms are soft. When pasta is done, drain (do not rinse) and add to pan with oil and mushrooms. Stir to evenly coat orzo in oil and mushroom mixture. Squeeze juice of one lemon and 1 tablespoon lemon zest, add fresh basil and add salt and pepper to taste. Serve immediately if serving warm, or bring to room temperature and then refrigerate to serve cold. Vegan Mushroom Orzo Salad can be kept refrigerated for around 5-6 days, and is great leftover both warm and cold. What is your favorite pasta salad combinations? 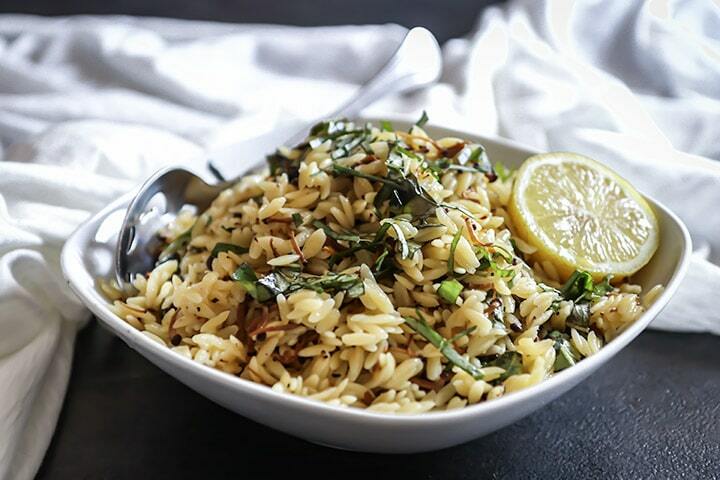 Have you tried orzo?